Use the K&M KM19791 Universal Tablet Holder to securely hold your tablet computer onstage and in the studio. 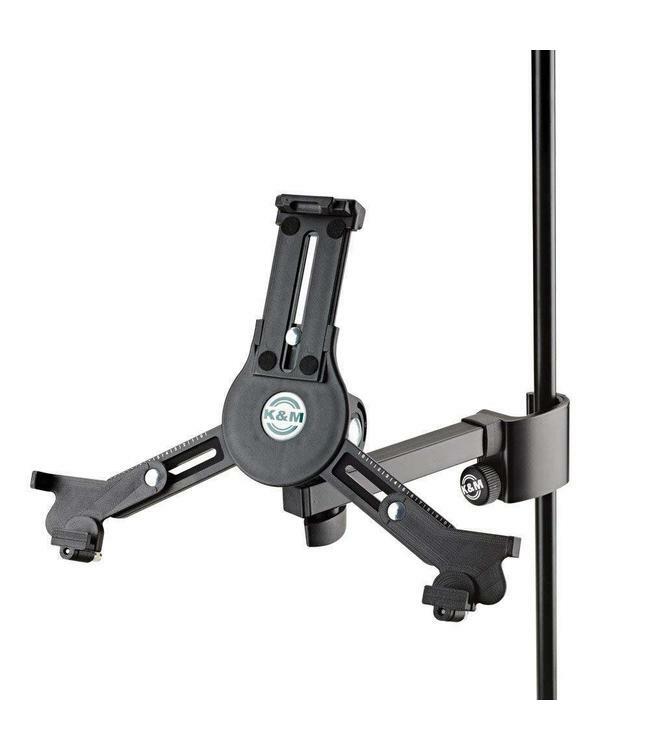 It easily clamps onto any tube up to 30mm in diameter, such as mic stands or boom arms, and the adjustable arms accommodate the vast majority of tablets available. Once you've adjusted it for the exact size of your specific tablet, you can quickly attach and remove your tablet via the snapping lock. Compatible with virtually all tablet computer.